It’s here…finally. I love the cartoons and now the movie is here. I haven’t watched it yet but i’m going to put it up anyway. I reckon the cartoons were awesome (!!) so i’m trying to get our blog-viewers to watch the movie or at least, introduce new fans to the magical world of Avatar. I couldn’t find a perfect summary so i’ve borrowed one from http://www.imdb.com/title/tt0938283/ because this site narrows the whole story down to a few sentences. Avatar is a big series and the movie is bound to be complicated too. 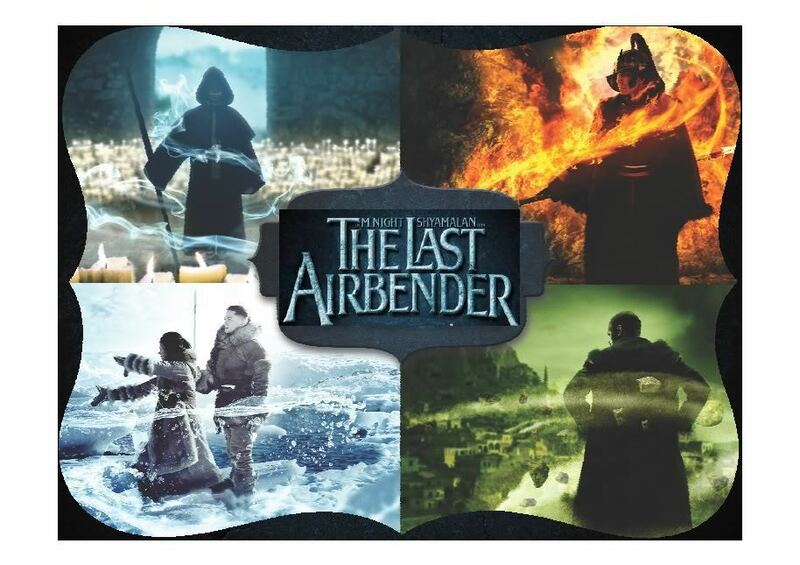 “The story follows the adventures of Aang, a young successor to a long line of Avatars, who must put his childhood ways aside and stop the Fire Nation from enslaving the Water, Earth and Air nations” –this is what the site has to tell us. 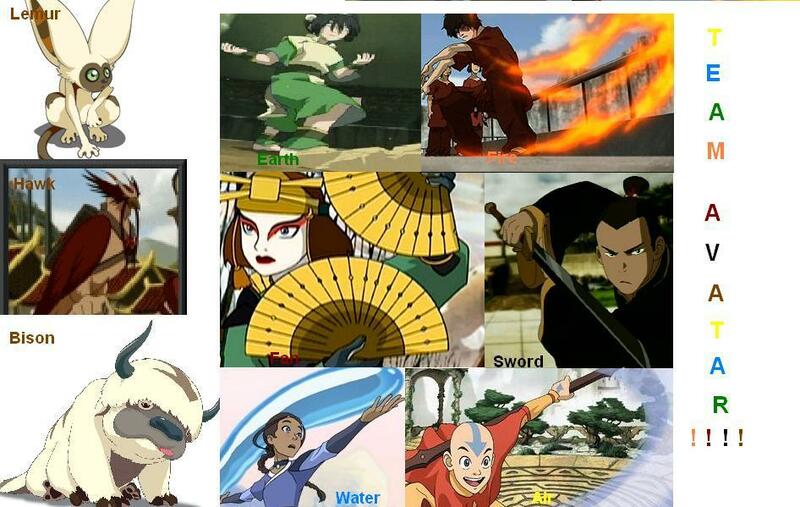 There is more to add though, about the three main characters, Aang, a totally sweet and very short boy, Katara, a strong-willed water bender, Sokka, warrior brother of Katara who is a total comedian in the story (his comedy comes when he least intends it to be funny!) and of course, Prince Zuko, the totally awesome messed up Prince who turns good near the end. But before i give too much away, i will attach the trailer for the movie and a video from the cartoons so you can have a look yourself! This is NOT, i repeat NOT, the kiddie movie that’s been a holiday blockbuster for the last uncountable years. This movie is a different version. It twists together Alice in Wonderland and Through the Looking Glass and What Alice Found There to something more exciting with relistic characters including the mad hatter “who is as mad as a hatter”. This Alice in Wonderland is the out of the world, Tim-Burton-directed movie that’s coming out in the near future and something to look forward to. Most of our readers probably know about Alice, the girl who fell through the hole when she followed a rabbit rushing to his appointment and fell down the same hole. This version has a 17 year old Alice, upset and running away from a sordid affair and ending up in that hole again and in Wonderland for the second time. She doesn’t remember the first time it happened so everything’s new to her. With Johnny Depp playing the Mad Hatter, Anne Hathaway playing the dramatic White Queen, Mia Wasikowska playing ALice and the usual mixture of darkness, as it is with every Tim Burton films, this film is something you don’t want to miss. To be completely honest i don’t think this movie is as good as the first one. The plot overdoes it a little. I haven’t watched it myself but i read up the plot on the net and has a pretty good idea of what happens. Some of my classmates have watched in the cinemas and they claim its good. So i’m putting this up. Besides, forget the plot, this film will probably be a crack up, like the last one, with Shia Le’Beouf in it. lol. This story starts two years after the first one. Sam’s about to leave for college and all the Transformers are on earth trying to fit in with the humans. All goes well, until Sam finds a shard of the All Sparks. When Sam finds it, he immediately starts knowing ancient ruins. He finds out from Optimus that, apparently, before the Transformers now arrived on earth, there was an ancient race of Transformers. They seeked out for Energon sources. They used a weapon called the Sun Harvester to drain stars of their energy and convert it to Energon and power the All Sparks. They agreed to spare the life bearing worlds. But one of their own brothers known as the Fallen made a Sun Harvestor on Earth. This leads to the other brothers sacrificing their bodies in order to hide the Matrix of Leadership which is the key that empowers the Sun Harvestor. This was done to prevent the Fallen using the Sun Harvester, so, when the Fallen was unable to do what he wanted to, he swore that when he found the key, he will return to earth for revenge. In the present day story, the Decepticons revive Megatron who goes out in to space and is ordered by the Fallen to find the key to the Sun Harvestor. And the rest of the story revolves around that plot; how Sam gets involved in finding the Matrix of Leadership and the battle in Egypt comes in to shape. I assume it’s a good enough plot, not awesomely awwesome but good enough to watch. I’ll try and catch it in the near future. It’s most probable that some of you have seen the common trailer for Transformers so i suggest you watch the new one on the transformers official website (just type “Transformers: Revenge of the Fallen official website” in google and that will get you there). It’s pretty cool. I hope you enjoy this movie and come back and check this page out again because i’ll be updating it often! This is another version of Cinderella…yes, i know what you’re thinking, ‘not another one’. But this version, ppl, is an awesome version. I will admit it, i like this version better than the original Cinderella. This Cinderella actually has a good plot and the romance is believable. It’s also taking us one step up on the ladder with it’s maturity. I would recommend you try it out. It’s called Ever After and stars Drew Barrymore as Danielle, the Cinderella of the story, and Dougray Scott as Henry, the Prince. It’s got the cliched step sisters and step mother but there’s such a cool twist to the story which makes it a whole lot different from all the Cinderellas we get. Also, Danielle, the Cinderella, is so much more different from the charming, nice lady/girl you get everywhere. She’s more down to earth and makes you laugh with her amazing personality.